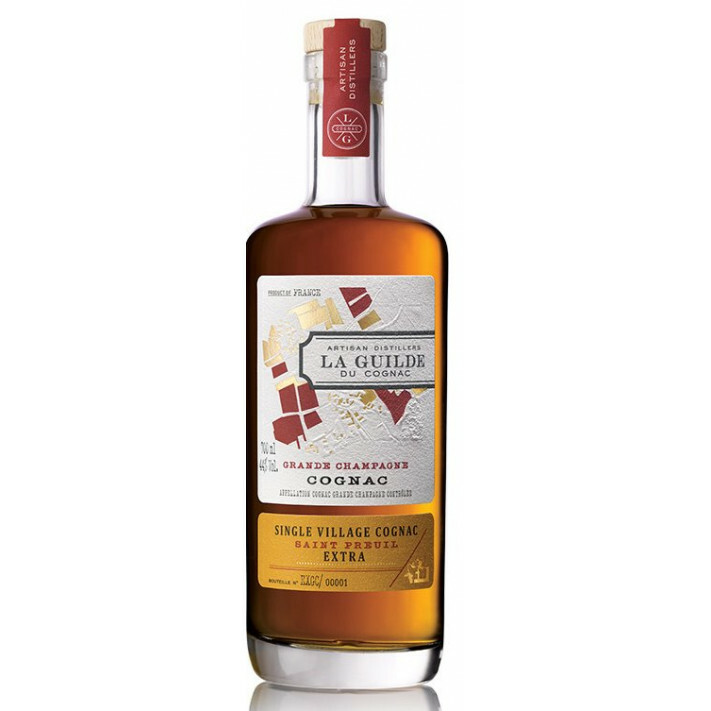 The La Guilde Saint Preuil Grande Champagne XO Cognac is the flagship product of this Single Village collection. Complex, powerful, and ultimately satisfying, it's the creation of three vintage years - 1990, 1996, and 2004 - of eaux-de-vies from the Grande Champagne village of Saint Preuil. This village nestles cosily between woods and vineyards, and is perhaps one of the highlights of all the Grande Champagne region to understand why this hallowed terrroir is referred to as the 'premier cru'. The chalky soils work their magic on the grapes grown here, producing Cognacs that are the empitome of excellence to be enjoyed. A wonderful addition to the best of Cognac collections, and one that would certainly be well received as a gift by any Cognac connoiseur.